8 Day Holy Land Tour Experience is one of the most populated tour packages for Christian Pilgrimage Groups, especially that coming to Israel their first time. We offer the most intense tours for Christians, the full-day work of our churched guides. Mount Tabor and the spot of the Transfiguration, Capernaum, the Mount of the Beatitudes, Nazareth, Sea of Galilee, Basilica of the Annunciation, Basilica is the Church of St. Joseph Churches and other Holy places. Visit the Chapel of the Ascension and the Church of the Pater Noster on the summit of the Mount of Olives, with a panoramic view of Jerusalem. Walk in the Garden of Gethsemane and see the Basilica of the Agony before going on to Bethany and the Tomb of Lazarus. 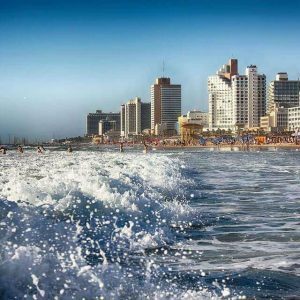 Travel to the oldest city in Israel, Jericho, and then swim in the salty, mineral-laden Dead Sea. The first pilgrimages were made to sites connected with the ministry of Jesus. Aside from the early example of Origen, who “in search of the traces of Jesus, the disciples and the prophets”, already found local folk prompt to show him the actual location of the Gadarene swine in the mid-3rd century, surviving descriptions of Christian pilgrimages to the Holy Land and Jerusalem date from the 4th century. For groups more than 20 pilgrims – Priest or Group Leader is free! St. Peter’s Fish Lunch by the Sea of Galilee. 7 Night accommodation in Double or Single rooms. A Special Complimentary St. Peter’s Fish Lunch by the Sea of Galilee. Meal arrangements: Half Board (including full Israeli buffet breakfast and dinners at hotels daily) plus a special St. Peter’s fish lunch at a fine local restaurant in the Galilee. 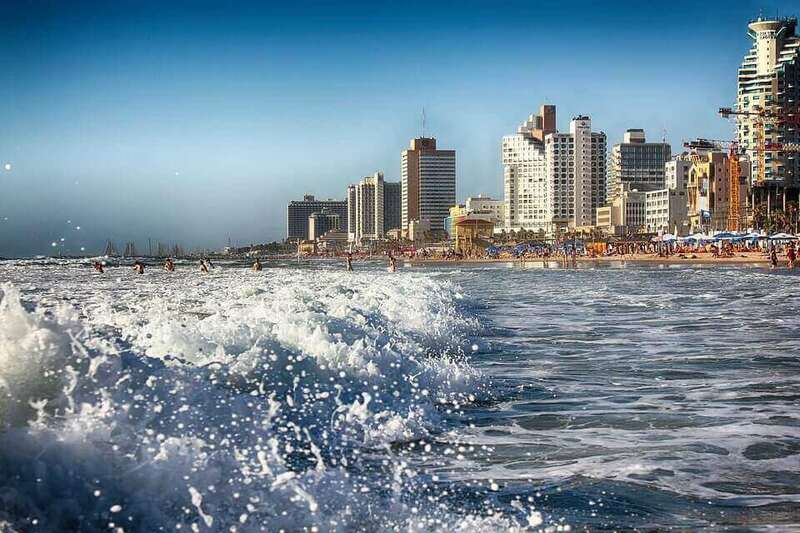 A high season supplement of $25 per person per night applies to this tour during the following periods: Shavuot (19/05/18-20/05/18), Summer (01/07/18-31/08/18), Rosh Hashanah (09/09/18-11/09/18), Sukkot (23/09/18-01/10/18), Christmas + New Year (20/12/18-05/01/19). Tips to guide/driver and hotel/restaurant staff. It is recommended that tour guides are given at least $5.00 per touring day per person. Drivers are given at least $3.00 per touring day per person. Entrance fees – 98$ per person. •	Ancient City of Caesarea Ruins. The Caesarea National Park contains the remains of a prestigious port city established by Herod the Great, which flourished during the Byzantine period. Visit the Roman Amphitheatre, the Hippodrome horse racing arena, and the impressive Roman Aqueducts. •	Megiddo National Park. Get ready to learn about one of the most fascinating cities in the Middle East, where Egyptian, Assyrian and Israeli leaders have all fought for control. Dating back near 5,000 years you learn about this important site while enjoying views of the Lower Galilee. •	Druze Villages of Daliat el-Carmel. The Druze, an ethnic group that split off from Islam approximately 1,000 years ago, has played an active role in supporting Israel since its founding. Learn about the history of Druze culture and its cuisine on a visit to a village in the beautiful Carmel region. 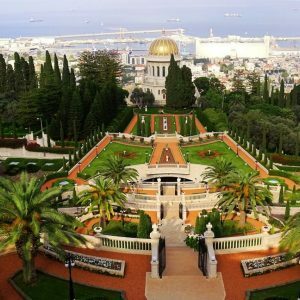 •	We’ll end our day by standing atop Mount Carmel for a lovely view of the Haifa Bay. •	Dinner and overnight in Haifa. •	Tzfat Old City & Artist Quarter. Tzfat is one of the four holy cities in Israel. It has served as a spiritual center since the 1600s, when famous Kabbalists roamed here. Tzfat awaits art lovers, soul-seekers and historians to cobblestone alleys, medieval synagogues, and a mystical atmosphere. •	Golan Magic Welcome Center. Here the Golan comes alive. View a state-of-the-art model, complete with light and sound effects, and a film documenting its history on a 180 degree panoramic screen. This is a great way to deepen your knowledge about the Golan Heights in a fun atmosphere. •	Golan Heights Winery Tour & Taste. Located high in the planes of the Golan in the small, ancient town of Katzrin, you will find this famous winery that exports to over 25 different countries. Take part in a tour and wine tasting to learn how the Yarden, Gamla, Mount Hermon and Golan lines are produced. •	Dinner and overnight in Nazareth. •	After breakfast we’ll start our day with a short drive to Nazareth, the town where Jesus spent his childhood. Visit the Basilica of the Annunciation, Mary’s Well and the Church of St. Gabriel. Visit the Blessed Cave, view Mary and Joseph’s house. •	Sea of Galilee & Capernaum National Park. •	Visit the remains of a Second Temple period fishing village and imagine the lives of those who lived there. We’ll learn about the location where Jesus selected his Apostles and the modern day church that stands where the house of Peter once stood. •	The Mount of Beatitudes sits on a hilltop at the northern point of the Sea of Galilee, this is where Jesus delivered th e Sermon on the Mount. A Byzantine church was erected near the current site in the 4th century, and it was used until the 7th century. •	Ancient Beit Alfa Synagogue. Built during the Byzantine era, this excavated synagogue is most well-known for its miraculously well preserved mosaic filled with intricate artistic detail. •	Then we will go to the Mount of Olives , overlooking the Old City of Jerusalem from this hill covered with olive trees, cemeteries, and churches related to the life of Jesus. •	Then we will go down to the gardens of Gethsemane , the place where the Passion of Jesus began, to join the Basilica of All Nations. 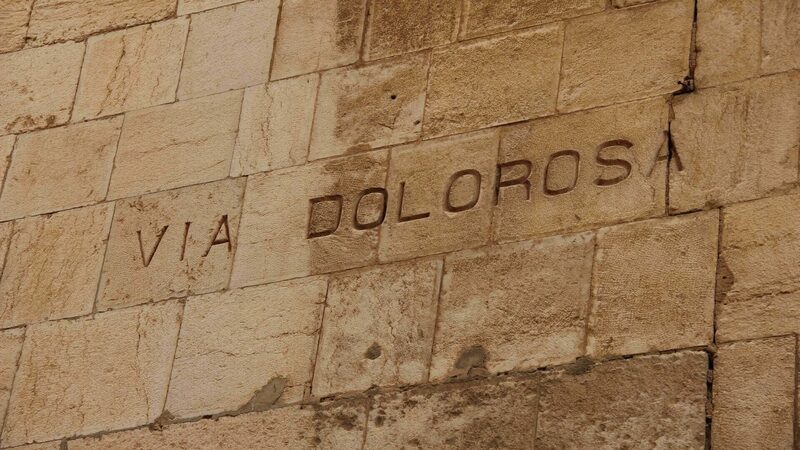 On the way, we will discover the chapel of Dominus Flevit, where Jesus cried on the sad fate that soon would know the city of Jerusalem. •	In the afternoon, we will visit the site of the Bethesda Pool, where, according to John the Evangelist, Jesus performed the miracle of healing the paralytic, then the Catholic Church St. Anne, one of the masterpieces of Romanesque art in the Holy Land. 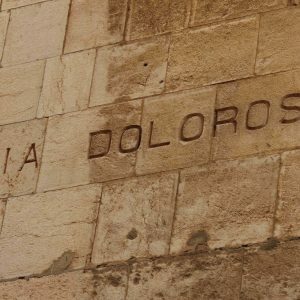 •	We will then follow the route of via Dolorosa and continue to the Holy Sepulcher, basilica built by Emperor Constantine on the place where Christ was nailed and buried. •	Israeli Parliament Building. Visit the seat of Israel’s government since 1966. Sitting at the heart of modern Jerusalem, the Knesset is the home of the Israeli parliament with its 120 members. See Israeli democracy in action and learn about the architecture and art of the Knesset building itself. •	Yad Vashem Holocaust Museum. In 1963, the Yad Vashem Museum was established as the world center for Holocaust research, education and commemoration. With survivor testimonies, powerful displays, and artifacts, this museum embodies one crucial message: Never again. •	Mount Herzl National Memorial. A burial place for prominent Zionist figures such as Theodore Herzl, Golda Meir and Yitzhak Rabin, here you will also find an expansive military cemetery; one quite full for a country so young. The loss of the soldiers who fought for the land of Israel is palpable. •	Israel Museum & Dead Sea Scrolls. This museum is the largest cultural institution in Israel and one of the world’s leading art and archaeology museums. Here you will find the oldest existing biblical manuscripts in the world, the Dead Sea Scrolls, which are housed in the Shrine of the Book. •	Qumran Dead Sea Scroll Caves. Learn about the Dead Sea Scrolls and those who wrote them when you explore the Qumran National Park. Marvel at the table-like structures that are said to have been used to write the scrolls, and the caves where the scrolls were discovered in 1947. •	Masada Mountain & Cable Car. Ride via cable car to the top of Masada and explore what remains of King Herod’s palace. Take a peek into history as you view the preserved baths, cisterns and barracks. It was here that leader Eleazer Ben Yair kept the Roman Legion’s siege at bay for three years. •	Transfer to Tel Aviv International Airport to board on return flight.